Dumbarton went down to a seven goal hammering against SPLers St Mirren at Love Street in the CIS Insurance Cup this evening. They now need to turn round and return to Division Three winning ways against East Stirling at the Rock on Saturday. It's going to be a big challenge. Poor Jim Chapman is suitably remorseful. Overall, it was a fine performance from Queen of the South in Denmark tonight. For once I was able to watch some live non-Old Firm Scottish football (and the First Division Doonhamers, no less) courtesy of BBC Scotland's internet streaming of the UEFA Cup second qualifying round second leg tie against Superliga side Nordsjaelland. Leading 2-1 from the first game at Airdrie, the Danes were given an early shock tonight after Queens' Bob Harris hit a screaming free kick from 35 yards in the second minute. There were times in the first half and in stretches of the second, a much better footballing proposition, when you thought the Scots might just create something. When ex-Dumbarton loan hero Stephen Dobbie (who also appeared once for Hibs in the Inter Toto Cup) came on after 63 minutes, he immediately created the best chance of the match for the Doonhamers. But generally Nordsjaelland, who have struggled this season, became a different team after the break, and when Queen of the South had to throw everything into securing the second goal they needed to win the tie, the Danish side clipped in two opportunistic (but superbly taken) goals right at the end to claim the honours at Faram Park Stadium. The Scots just lacked that decisiveness in the final third of the field. As is often said, football can be a cruel game. Queens and their wonderful 1,000 away travelling supporters, who never stopped urging their boys on, deserved at least a draw. People may question whether a non-premier team who were runners-up in their national cup competition should have been given a UEFA Cup berth. But witnessing QoS's endeavours and skill this evening, you have to say that they used their unexpected European opportunity very well indeed. A good advert for the game. The news is that St Mirren have no fresh injury problems ahead of tomorrow night's second round Co-operative Insurance Cup match against Dumbarton at Love Street. Midfielder Tonet's red card in the 2-1 Buddies defeat at Hearts on Saturday has lead to suspension in the SPL, but not cup duty. Gaffer Gus MacPherson says he could make changes to his starting XI but has stressed he will not field a weakened side. This means Sons, who are still nursing significant injuries, will need to be on absolutely top form to get anything out of the game. In the close season we took the Saints to 2-2 at SHS, and might even have nipped it. But friendlies are one thing. A tournament which SPLers have as one of their main hoped-for prizes in a league dominated by the Old Firm is another. Back in January '08, Dumbarton went down 3-0 in the Scottish Cup at Love Street. The Buddies are scheduled to move to a new ground in January 2009, incidentally -- leading one optimistic eBayer to try to sell advance copies of the CIS programme on the basis that it could be "their last League cup tie at St Mirren park before the move." Not if they beat Sons and get a home draw, it won't. Ah, the routine perils of sports journalism: especially the "That's it, there's only a couple of minutes to go, I'll put the wrap on this and nip down to the pub" syndrome. So it was that Scotland on Sunday's report, as of 1AM, read: "The spoils were shared at the Strathclyde Homes Stadium in a dire 1-1 draw between Dumbarton and Stenhousemuir." If only, Sons fans would say! I imagine it'll be corrected in a later edition. But here's a gentle tip for subs... check the Beeb website before going to press. It was all there, er, eight hours ago. I was about to write that Dumbarton had come from behind to grab a point yet again, as Paul Keegan equalised Stenhousemuir's first-half lead on 71 minutes. But then the Warriors stole it right at the death. Drat. Apparently it was a "wonder strike" from Shirra after 90 minutes, but that's little consolation. This is a game Sons will have expected at least a point from, in spite of the injuries, so the defeat is a distinct disappointment. The 55 minute substitution (Keegan for Fergus Tiernan) paid of handsomely with a goal for Dumbarton. Young Andy Geggan, however, stayed on the bench. Meanwhile, congratulations to Exeter City who claimed their first English League Two victory at Bournemouth, courtesy of a Ryan Harley goal. He really is a fine young prospect. In the Blue Square Premier, meanwhile, Barrow (illustrated ) continued their good run with a 2-1 win over Mansfield, a fixture in which I have had a historic family interest. 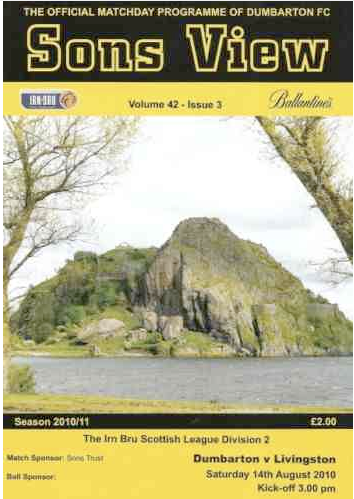 First published in Sons View, 23 August 2008, Dumbarton -v- Stenhousemuir. SFL Division Three. Last weekend Dumbarton sent a successful raiding party south of the border to claim three valuable points from a 2-1 win over Berwick Rangers. This week it’s home duty again and a visit from Stenhousemuir. But the challenge of adding to our tally and moving further towards a hoped-for promotion push remains the same. As ever, history shadows the Sons’ quest for glory. Though the true national identity of what was once Scotland’s richest port has been a long-standing source of dispute, the English imposed their ownership on Berwick in 1482, after it had changed hands through force and political intrigue more than a dozen times. That fact, together with the Borderers’ loyalty to the Scottish Football League since their election in 1951 (the year Dumbarton won the St Mungo Festival of Britain Quaish against Ayr United on 6 August), meant that when the Sons finally took the Second Division title in 1971/2, on the threshold of our famous Centenary year, it was an English team they had to beat in order to do so. During that momentous season, Stenhousemuir proceeded to take the points from our encounter at Boghead with a 2-1 victory early on in what proved to be a jittery start to a finally triumphant Sons campaign. We certainly don’t want to concede like that today, but if an exchange could somehow be negotiated for the Champions crown, few of us would turn the deal down! Not that football ever offers success on a plate quite like that. Doing a quick calculation the other day, I figured that in my own cross border footballing activities (which proceed in the opposite direction, since I’ve always lived south of Birmingham), the Warriors are the team I’ve seen most often in Scotland other than the Sons – if only because, quite unintentionally, my periodic visits to Boghead and the Rock have coincided with theirs more than any other side. I’m taking it that the results of those particular games I’ve witnessed, a series of defeats and one draw, are no useful omen for what will occur on the park this afternoon. Both sides crave success, but for Sons’ hungry new blend of youth and experience, it’s a chance to record an all-important first League victory at the Rock this season. This is an opportunity that, hopefully, we will not spurn. The last time I saw Stenhousemuir at the Rock was a year ago in what could justifiably be called a bit of a comedy of errors, though I’m absolutely sure that no-one sitting around me was laughing. As it happens, our opponents’ hometown is also the birthplace of actor James Finlayson, who played the foil in many classic Laurel and Hardy movies. That’s one duo we won’t be planning on emulating this afternoon. Stenhousemuir’s own history is not exactly covered in magic dust. A recent compendium of the game cruelly describes them as “one of the least successful teams in Scottish football history, despite some stiff competition.” That said, they’ve had a few cup-tie glory days, including a substantial victory against Aberdeen in 1995. Way back in 1903, they reached the Scottish Cup semi-final for the first and only time, losing out 4-1 to Rangers, who went on to win the trophy themselves. Two years after that we have records of the first League encounters between the Sons and the Warriors, with Dumbarton triumphing 4-0 and 4-3 home and away, respectively. However, it wasn’t until the1922-23 season that Stenhousemuir started to become regular opponents of ours. One game against Stenny we’d all definitely like to forget (though thankfully, few of us will have recalled it in the first place!) was a 7-0 away drubbing on 5 March 1927. Not for nothing were the late ’20s and early ’30s known as the era of depression! Then again, that was also the season that Dumbarton first formed a supporters’ association to begin to invest in the future of Club, an idea transformed in an altogether more determined direction with the advent of the Sonstrust in May 2001, to give you and me a direct stake in helping to re-write Dumbarton’s history yet again. There are clouds that have silver linings. But you usually have to sew them yourself. Yup, I'm still here. (Well, off to bed for three more hours as I publish this). A good interview with affable and informed SABC African football expert Christopher Bongo kept me awake at half time in the Olympic football final... rather than Adrian Chiles' hopeful repetition of the word "fascinating" to encourage us along. The second half kicked off at a predictably lethargic pace, given that it's 32 degrees on the pitch. But Angel di Maria (from Benfica) soon exploited the space behind the Nigerian defence for Argentina, and that has pretty well settled the game. Messi is teasing them now. He's after the killer goal. But Romero (63 minutes) has now wasted a good chance for the Africans, who have brought on the lively Anichebe (from Everton). He almost scored with his first touch and again on 84 minutes. Argentina are looking more than a little vulnerable at the back. They have three out of four defenders with international experience, but only seven caps between them. It's a young side, as is the aim of the Olympics (given that bona fide "amateurism" went out of the window some time ago). But power and pace at the front will see them through. And it has. Though they didn't dominate as they would have hoped. Gold for the Argentinians, but not a great match, though it livened up a little towards the end. According to the best-informed localised betting, Stenhousemuir are narrowly favourites to pip Dumbarton at the Strathclyde Homes Stadium this afternoon. Naturally, I have a different view (and hope). But Jim Chapman is still having to contend with a whole roster of inconvenient injuries which are testing the depth of the impressive squad he has assembled over the summer. Incidentally, the weather should be fine. Wow, there's even a site that provides micro forecasting for specific grounds. Meanwhile, I'm glad to see (Glasgow Evening Times) that Fergus Tiernan wants to win playing open, attractive football. As always, the success or otherwise of this comes down to a combination of matching tactics with skill and ensuring sharpness up front - the same challenge that my locals Exeter City face this afternoon, away to Bournemouth in English Football League Two. After 31 minutes it's a rather strange Olympic football final. The pitch is not great, the atmosphere is muted and the pace is slow, with a flashes of skill mitigated by silly mistakes and a general directionlessness to the play. It's like watching an under 21s international friendly. As might be expected with Riquelme (from Boca Juniors), Mascherano (of Liverpool), Aguero (Independiente) and Messi (Barcelona) in their line-up, Argentina are dominating and Nigeria struggling to use their main asset - pace. The referee, who has only had one other game in the tournament so far, is having a poor game. He failed to give Argentina a fairly secure penalty in the third minute, failed to play an important throw-in advantage by being off the pace at a crucial moment, failed to book a Nigeria defender for a cynical edge-of-the-area tackle and thinks ten yards is nearer 15. Ouch. And now he's allowed a short 'drinks break'! Don't know if I'll last this one out. Incidentally, football has been included in every summer Olympiad except 1896 and 1932 as a men's competition sport. The women's game was added to the official programme in 1996. But the seriousness (or otherwise) with which the major European powers treat the tournament is testified by the fact that Italy went out to Belgium. Not a gold standard. The Olympic men's football final takes place at the national stadium in Beijing tomorrow - at what will be 5 AM in the morning for those of us viewing it from Britain... and not putting much of a premium on sleep. I just might, you know. I don't have a game to go to. After Brazil crashed out in the semis (Dunga is not amused) Argentina have gone through to face Nigeria. With Lionel Messi and the son-in-law of Diego Maradona on board (he's quite handy, and his family will be present) there should really only be one outcome. But the Nigerians are not likely to sit back and defend passively, so it could be entertaining. Earlier in the year I had some thought of going to Hampden last night to watch the friendly between Scotland and Northern Ireland. Since it turned out to be a snorefest, with no goals and both sides nursing a significant number of injuries, I'm kind of glad I didn't. Thank goodness the Scots managed to keep out that David Healy penalty. Not many have denied him a goal when he's been wearing a green shirt recently. There is a right blend of youth and experience to be had for this team, but it's one with little margin for error and a great need for the traditional 'heart' that the national side feeds on. As for Scotland's prospects when the World Cup heat is turned on, it sounds as if there wasn't enough on display last night to offer a sound judgement. Although that's precisely what's being asked of manager Craig Burley at the moment. Good luck to him. And I mean that very sincerely. But what, then, of Capello? Since no-one in Exeter was showing the Scotland game, I ended up watching England escape with a lucky draw against a Czech Republic side who quietly outclassed them without ever really having to try. A win against Andorra and an away draw against Croatia are the likely outcomes of their Word Cup qualification forays next month. But as for winning the thing itself? Apparently one bookmaker has England at 9/1. Might as well bet on them being hit by an egg cup from Mars. In short, England were mostly pish. This is a squad with no genuine depth. The majority of what was on show last night wouldn't make it into the starting line ups of the real European footballing powers, and Fabio is going to have to work some serious magic to avoid yet more bitter recriminations. When that happens it will take more than the ritual sacrifice of poor Brian Barwick to satisfy the baying hordes. Good 2-1 victory on the road for Dumbarton at Berwick on Saturday. By all accounts, there's still a fair amount of work to be done to get the newly refurbished Sons firing on all cylinders - but also bags of determination among the players. Home points against Stenhousemuir and East Stirlingshire in back-to-back Saturdays at the Rock would really set us up for a promotion push this season. Here's hoping. First published in The Grecian, 16 August 2008, Exeter City -v- Shrewsbury Town, Football League Division Two. Here we are at last, back with the Football League on home soil. There have been moments over the summer, and even immediately after the final whistle blew at Wembley on 18 May, when I’ve wondered whether someone will pinch me and I’ll discover it’s all been a dream. To be honest, teams with which I have an association are much more likely to do Distasterville than Dreamland. So even after Rob Edwards had nodded us ahead, the last ball had been kicked and the wild celebrations had begun, it still took a bit of time to sink in. Thankfully, Exeter City’s footballing life is not quite like Bobby Ewing’s implausible re-appearance in Dallas (a giant step beyond reality), and that means the all-too-real demands of Coca Cola League Two are now upon us. Shrewsbury Town, our rivals this afternoon, can certainly testify just how tough it can be in this division. Nonetheless, the Grecians’ aim for the season is more than mere survival. For this is a team on the march forwards. That much was clear from the highly professional way Paul Tisdale and the boys handled the trip to Wembley, from the signings made and the contracts secured over the close season, and from the guts the side has shown thus far. Not everything is going ECFC’s way, but our way is to keep on going. Nothing proved this more than that second leg Blue Square play-off semi-final at Plainmoor three months ago. At 3-1 down on aggregate against Torquay, and with just over 20 minutes to go, many teams would have caved in and missed the Wembley ticket. But the Grecians kept on pressing and claimed four goals to achieve a truly amazing turnaround in fortunes. It’s a match that will stay in my memory, and that of many others, for as long as we live. However, as the manager remarked immediately afterwards, it would all have counted for nothing without a further decisive push against a tough Cambridge United side in the Final. Likewise, if the Grecians can’t cut it in League Two, that triumph will look more like a false dawn. I don’t believe this is how things will pan out, however. Football is all about the moment, but it’s also about momentum. That’s something that requires courage and determination as well as skill – qualities which ECFC have already demonstrated. With Tisdale at the helm, a Trust that has proved it can go the second mile, an eager group of players (established and new) and a committed backroom staff, Exeter City has the recipe to succeed. What we require now is to capitalise on talent with hard work, to find that crucial twist of luck, and to continue the surge of support from the fans, both home and away, that can carry the team forward when things are going less than smoothly. The shorthand for all this is ‘character’. One who has definitely shown us what that means is veteran Rob Edwards. Not long after he signed a two-year deal in 2006, the sceptics had their knives out. He proved them wrong by becoming Player of the Season and then going on to secure the vital goal at Wembley, offering dependability and experience along the way. Well, I exaggerate somewhat. But it would certainly be good if Dumbarton could get off to winning ways when they cross the border to take on Berwick Rangers this afternoon, following two lacklustre draws so far in their 2008-9 Third Division campaign. Andy Geggan, Mark Canning and Michael Moore are all out, but hopefuly the recent defensive lapses will have been addressed in training and Paul Keegan won't be left to fend for himself up front. As I'm in the West Midlands at the moment, this is a game I would have considered heading for. But unfortunately my schedule doesn't allow it. Meanwhile, Exeter City have a tough home assignment against Shrewsbury Town - their first game in the League at St James' Park for five years, following promotion from the Conference. Good to see writer Jack Deighton expanding the realm of Dumbarton football commentary, alongside weightier matters (*cough*), in his fine new blog. It takes its name from his long association with the town and also from his science fiction novel, A Son of the Rock, which is available via Amazon and excerpted on Infinity Plus. The cover image is strangely reminiscent of how many Sons fans feel at the end of an average Saturday afternoon, but this is probably incidental. The book was published by Orbit in 1997. That year Dumbarton finished 7 points adrift at the bottom of the league. Thankfully, by 1998-9 we'd climbed to the disorienting heights of fourth in the Third Division. Sadly, this was before the play-offs had been introduced. (What am I saying? The play-off system in Scotland is daft. Still, if it gives us a chance of going up this year...). League Two new boys Exeter City's Carling Cup outing against Championship Southampton provided a flowing, open and entertaining game at St James' Park this evening. But it also offered something of a reality check after the close season hype. With many of their first choice players rested, the visitors achieved a pretty comfortable 3-1 victory. Exeter certainly played well and had a majority of the possession, showing no little endeavour and skill. If they can carry on like this in the League they will be fine. But the gulf in class still showed. Saints, without stretching themselves, did enough to contain wave after wave of Grecian pressure. They also scored two fine goals and a last-minute penalty, turning on the pace and power just when it was needed up front. City, by contrast, created many good looking opportunities, but then struggled to find their feet in the place where it's most needed -- the penalty area. Their finishing was also lacking decisiveness, with too many shots off target and one sitter missed at the end of the first half. Still, Dean Moxey will be claiming what was given as a Saints own goal, outjumping 'keeper Bartosz Bialkowski to head Exeter briefly back into contention. The verdict? Confidence, creativity and a clinical touch are what's needed against a side two divisions higher. But there just wasn't enough in City's store. Southampton were also gifted too much space down the left in the second half. Overall, however, the feeling has to be positive, both in terms of lessons learned and in the spirit and skill Exeter displayed in their attractive build-up play and resolute defending. A crowd of nearly 6,500 was also very encouraging, and got good value for money. Following a gutsy away point at Darlington on Saturday, this is a good start to the season. Shrewsbury on Saturday will be another tough test. Sadly, I'll miss it, as I'll be in Birmingham. Well, the summer waiting is finally over and Exeter City can truly say that they’re back on the path to Wembley again. This time it’s the Carling Cup that focuses our attention, rather than another nail-biting promotion play-off final. Three trips to those North London towers in three years? OK, it’s unlikely, but not impossible. Back in 1961-2, when the League Cup was only in its second season, Rochdale became the first club from the fourth flight of English football to make their way to the final, eventually losing out to Second Division Norwich City. How we’d all love the Grecians to follow suit. But before you head down to the bookmakers for a decidedly outside wager (I haven’t checked, but I’m guessing around 200/1), there’s the small matter of a home tie against Championship survivors Southampton. We were due to play the Saints during our very successful pre-season friendly campaign, but the plans were changed after the Carling first round draw. This match will definitely have much more bite about it, with the newly promoted Grecians wanting to prove that they can compete with the best, and Southampton seeking to recover from a poor term that almost saw them sink into League One – while south coast rivals Portsmouth (who we recently drew 1-1 at home) achieved an FA Cup win and their highest ever Premier League finish. What is now the Carling Cup began back in 1960 as an idealistic venture aimed at giving more limelight to the smaller clubs. It was greeted with cynicism in some quarters (surprise, surprise! ), but soon proved its worth, switching from a two-legged affair to a straight knockout competition in 1966, the same year it offered the possibility of European qualification. As well as providing a first major trophy to the likes of QPR (who triumphed as a Third Division side in 1967, with the legendary Rodney Marsh), the League Cup also gave a taste of triumph to teams such as Brian Clough’s Nottingham Forest and Don Revie’s Leeds United, prefiguring their extraordinary achievements in the 1970s. Since then, the trophy has been an up-and-down affair in terms of prestige and attention. In the era of big spending Premier League sides that soak up youthful talent from all and sundry, it has become something of a test-bed for players who don’t get regular first team football or who are trying to break through. But all that blasé nonsense about “the Cup no-one wants to win” was decisively put to rest last year, when Spurs lifted the trophy against billionaire rivals Chelsea. 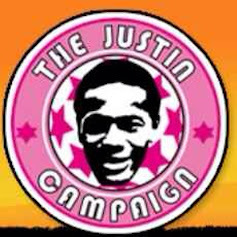 Tell those fans who lined the streets of Tottenham that it didn’t really matter! Which brings us back to St James’ Park this evening. Though we still await the excitement of hosting Shrewsbury in our first full home League game for five years, tonight definitively marks the fact that “the Grecians are back”. To do so with a result against an experienced side two flights above us would be wonderful, of course. But even if that hope isn’t realised, we have two more cracks at Wembley still to come. The Johnstone’s Paint Trophy, which kicks off for League One and Two sides in September, and the FA Cup itself – a tournament in which Exeter retain lasting public profile following our heroics against an outfit called Manchester United. Without that tie, we probably wouldn’t be back where we belong, in the League. So these Cup games are no distraction. They’re an important part of the overall feast we call football. After a raft of injuries for Jim Chapman's men meant that Dumbarton had to make the long trip to Elgin with several juniors in tow, the Sons had to be content with a dour 1-1 draw. Ray Logan equalised for DFC on 75 minutes after Steven McKay put the home side ahead with a well-executed free kick on 24 minutes. But I gather it was a grim match and performance... with a lengthy journey back home for the loyal Sons fans who made the trip. That's fitba. Meanwhile, my locals Exeter City also pulled a point out of the fire in the second half at Darlington, their first league match since winning promotion back to League Two. A 'game of two halves', apparently, with the home side well on top at the start. Next Saturday is the season opener at St James' Park. Great to see that my namesakes have made an excellent start in the Blue Square Premier (a.k.a the Conference) with a convincing 3-0 win against Oxford United, who went down to ten men at the end of the first half. The U's form was down last season, after they blew the chance of promotion the year before in the play-off semi against my home city side, Exeter City, when they had looked dead certs to go up. It's going to be a hard road to recovery in the post-Jim Smith era. For the Bluebirds, meanwhile, this game was just the shot in the arm they needed, with most people predicting that they will struggle to stay up. Barrow's debut was a match I'd have loved to have got to. But making it up to Holker Park is a massive trek by public transport for me. So I'm contemplating Cambridge or Torquay away later in the season. Or, indeed, Oxford. This from Annan Athletic captain Chris Jardine, writing today in his BBC Football column: "Dumbarton have got a great wee stadium and without doubt the widest pitch I have ever played on. I’m sure it was actually square! "I must admit to being surprised when our manager, Harry Cairney, told us he expected our opponents to play five across the middle but when I got out onto the turf I could see why. "Not only did they play five in midfield but in both Derek Carcary and Stevie Murray they had two quality wide men who caused us problems during the whole game. "To be fair, Murray was possibly the difference between the teams and not only because he scored the winning spot kick. It’s easy to see why he has played at a higher level." Meanwhile, on the Annan website, their boss commented: "Credit to Dumbarton for the manner in which they battled to get something out of the match." Yesterday he told the News & Star : "Dumbarton are a well-fancied team and are probably favourites to win the league because they have made a number of good signings." Hmmn... we might need to polish up a bit before that prediction stands any chance of coming true. But the SFL new boys are already well schooled in the art of diplomacy, it seems. Good luck to them for the rest of the season. Other than against the Sons, of course. Oh yes, Robert Ryan has a good report of the DFC -v- Annan game here. And I agree with him on penalties. After the disappointment of a bruising 1-1 home draw against Montrose in the first league game of the season on Saturday, Dumbarton fought back from a goal behind against debutants Annan Athletic to take tonight's CIS Insurance Cup First Round tie to extra time, penalties and an eventual 5-4 victory. Sonstrust chair Denise Currie tells me that DFC dominated much of the play. But with limited options up front, new Irish signing Paul Keegan (whose home shirt I'm sponsoring this term) found himself the lone striker. When Annan took a lead from the spot, and Sons' Andy Geggan was dismissed for two yellow cards in the same incident, things looked grim. But Dumbarton pulled a goal back through Ray Logan and triumphed in the shoot-out. Stevie Murray struck the winning penalty for Sons. The next round will be played on 26 and 27 August. If we can make it beyond that stage, I'd likely be around for the Third Round, which will be after the Cowdenbeath home match at SHS -- one I plan to be up for. One way or another, tonight’s game at the Rock will go down in Scottish football history. Not, Dumbarton fans hope, with Annan Athletic’s first victory in the Scottish League Cup, but certainly with the Dumfries and Galloway side’s debut appearance in a competition reserved for the country’s 42 senior sides – an elite they joined just over a month ago, following Gretna’s fall from grace. There are many moments when life can seem tough and inglorious on the bottom rung of the SFL. But the energy and enthusiasm around the Galabankies’ election from the East of Scotland League has hopefully reminded all of us – even the hard-bitten cynics – that Division Three is still a coveted position to be in. Or, in the case of the Sons, to be out of as soon as possible, but in an upwardly mobile direction! Gretna’s cash-injected fly, crash and burn routine between 2002 and the end of last season undoubtedly cast a shadow over the professional game in Scotland. Now the Borderers are back where Annan have just come from, with a newly formed supporters’ trust behind them and a return to the grassroots. I wish them well. Meanwhile, the Black and Golds (long-in-the-tooth DFC fans will not be unfamiliar with Annan’s home colours!) intend to avoid the mistakes that beset their ill-fated neighbours. In their respective new league positions, both sides have a chance to bandage up the scars and chart a sustainable footballing course for the future. The idea of developing a ‘pyramid’ below the SFL, similar to the one that exists in England, will also have gained a little further momentum over the past few weeks. The devil is in the detail and the finances, of course. But south of the border the benefits have been palpable, so it’s a conundrum worth wrestling with. This evening, however, our primary attention is on the path towards the CIS Insurance trophy. Dumbarton fans will be reflecting that we are long overdue a decent League Cup run, having only made it beyond the first stage of the competition once in the past four seasons. Last year we got dumped 2-0 away to Cowdenbeath. In 2006-7 a 3-0 victory against Stirling Albion at SHS was followed by a 3-1 defeat at the hands of Inverness Caley Thistle in the next round. In 2005-6 it was an early bath at Hamilton Accies (2-1) and the year before that, 1-3 at home to Ross County. Jim Chapman’s reinvigorated side will no doubt be keen to show what they are capable of in knock-out football as well as in the weekly challenge of amassing league points. The manager rued a missed opportunity in the Challenge Cup against Airdrie United recently, and has vowed to try and make up for it tonight. The CIS is a do-or-die competition. That adds its own drama, but some might hope that a competition which has recently offered four winners in five years (with Livingston breaking a seven-year Old Firm monopoly in 2004 and Hibs repeating the feat in 2007) could do even more to renew the opportunities available to smaller clubs by looking to emulate the spirit of the early years of the competition. Then the tournament involved groups consisting of 4 or 5 teams. The groups were seeded into two sets, with the top 16 sides in the old Division One making up the first four. This ensured that that four big teams would end up playing four smaller ones in the quarter-finals. It all got far too cumbersome with the addition of extra games and a two-leg format around the time the advent of the SPL, and few would seriously advocate adding to the modern fixture list given the financial perils of today’s game. But the competition still offers so-called ‘lesser’ teams a chance to shine – and the final is even shown live in Australia. It’s admittedly rather unlikely that the Mighty DFC will be entertaining ’em Down Under next March, but it would add a bit of sunshine to life here if the Sons were still competing for the limelight on 26 August, 23 September and (who knows, we can but dream) 28 October. First, though, there are the newcomers from Annan to contend with… and that little whiff of history. One of the great things about football is that every season it gives your team, no matter how downbeat it might have been a few weeks ago, the chance to draw a line under past shortcomings. It also offers fans an opportunity to dream anew of fortune’s favour falling on their side once more. OK, the Challenge Cup trip to Airdrie United last Saturday didn’t prove to be quite the start Sons supporters might have been hoping for. But both in that match and in recent friendlies there have been more than enough signs to indicate that Dumbarton will be a decidedly tougher proposition for league opponents this time. Last season rapidly descended into something of a nightmare. We knew it was going to be hard. But until the last couple of games, the serious possibility of taking the wooden spoon was still around, and even then we depended on the woes of others to salvage a barely respectable finish. When Jim Chapman faced a question and answer session at the end of March, there were plaudits for a plucky performance from the new manager, but also predictable mumblings of discontent and cynicism. Would he really be able to bring in players of the quality and commitment we needed, given a minimal budget? Did he know which players he wanted? Was the promise of being promotion contenders anything other than a pipe dream? The first home game of the season won’t be sufficient to answer the doubters one way or the other. We’ll all have to be patient – not a football follower’s natural instinct. But the scale and extent of the manager’s activities in the close season has surely shown that he means business and deserves the wholehearted backing of fans, Club and Trust. That includes young fans too, which makes it good to see a forward-looking youth policy on the pitch matched by an opportunity to have more youngsters coming through the gates this afternoon. 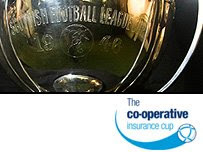 Meanwhile, we recall that as our attention drifted towards domestic activities or Euro 2008 (which turned out to be a thoroughly entertaining competition) during the ‘break’, progress at SHS was being marked by a steady stream of announcements on the DFC website. The resulting new blend involves youth and experience; a few familiar faces and a number of fresh ones; those who have plied their trade in the vicinity of the lower leagues and a couple whose skills have previously adorned bigger stages. Training started early for the new look Sons, and no doubt there is still a good deal to be worked out in practice, in the dressing room and on the pitch. But there’s also reason to be hopeful – and nothing would give a greater boost to our confidence than a robust start against Montrose today. The Gable Enders were among the stronger teams in the Division Three last season and will want to be in contention this time, too. So it’s likely to be a keenly fought contest. While familiarising ourselves with the new faces, we shouldn’t forget those we’ve left behind, either. Many of the ten players who didn’t get new offers at the end of last season took some stick when we were losing games and looking forlorn. One of those he mentioned was Chris Gentile, whose shirts Denise Currie and I sponsored. In the end Chris ran out of time at SHS. But we shouldn’t forget that two years ago when he’d come through an operation he was determined to stick around even though finding the money to pay him was proving a bit tricky. So as rightfully demanding fans, let’s not forget that loyalty is a two-way street. Good luck to the new lads, and to those who’ve passed on, too. The new season is under way in Scotland, and things are looking up for Dumbarton. The 3-2 Challenge Cup defeat against Airdrie United was disappointing, given that we were two up in the first half. But last season Sons would have been nowhere near competing with a side two divisions higher. The proof of the pudding (and in particular, all those summer signings) will be with the first few league games of the season, starting at home to Montrose tomorrow.